Dani and Campbell met at a wedding. Bridesmaid and Usher, they walked up the aisle together and the banter just flowed! 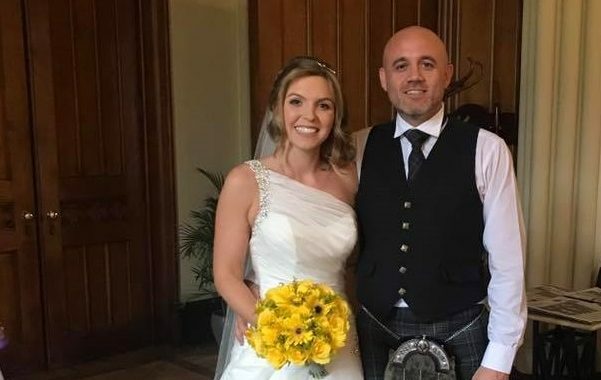 Fast forward a few years, they have welcomed their son Max, their fur baby, Alfie; and, on Saturday, in front of family and friends they married at the beautiful Mar Hall. 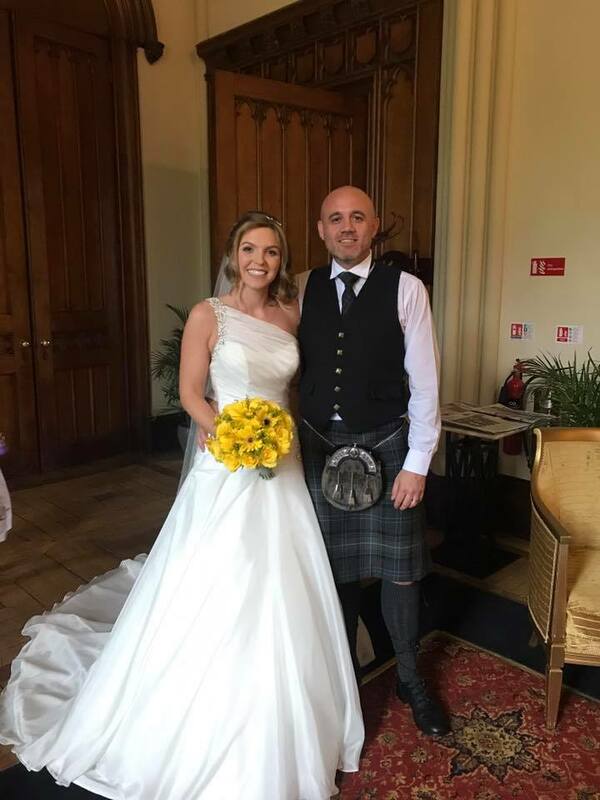 Evonne McLaughlin was delighted to conduct their ceremony; and equally delighted to catch up with Best Man, Craig, and his lovely wife, Laura, whom she married last year, and who have since welcomed little Ava to the world.